View 3 Day Short Break in a larger map. Graded as medium. 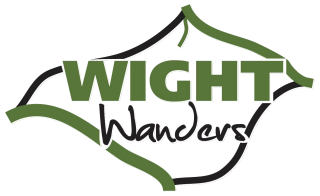 A good strong walk up to the Needles and then along the relatively flat but open cliff tops of the coastal path through the West Wight. The pretty yachting village of Yarmouth with is quaint town square and castle. The stunning chalk stacks of the Needles pointing out to sea. Please note that transport to the begining and from the end of the trail is not included in the price. Call 01983 281662 now to book this holiday. Your first night will be spent in the picturesque Port of Yarmouth. Located on the western side of the Island the town has grown up as a result of its natural harbour. The town was ransacked by the French in 1377 and 1524, and suffered numerous raids until Henry VIII improved the security situation by building a stone castle, in the town, which was completed in 1547. This is a bustling town which has an active community all year round. An impressive feature of the town is the unique 700ft long timber pier dating from 1876 , which is a Grade II listed building. In the morning you will Leave Yarmouth behind walking through the wild heather & gorse landscapes of Headon Warren, topped by a Bronze Age burial mound dating to 1500 BC. You may catch site of one of the local population of Dartford warblers. You will then walk towards Alum Bay and pass this beautiful bay, with its deep blue, clear waters. When you get onto the downs, you can see the Needles, white spires of chalk which rise up from the sea with the lighthouse at the end. This lighthouse guides ships safely past the treacherous rocks. Whilst there, check out the battlements and concrete structures which were used to forward rocket science. The Black Knight Rocket was tested from here. Shortly after reaching the Tennyson monument you will then descend into Freshwater bay. There are two parts to Freshwater, the main town and Freshwater Bay. Freshwater Bay is open to the Channel and takes the brunt of the prevailing winds in the winter months. Here you can see the rolling waves coming in from the Channel, crashing against the cliffs. In the summer months, however, the waters are calm and still and where the beach is pebbly, the waters are clear. Alfred Lord Tennyson lived and wrote much of his work at The Farringford which looks out towards Freshwater Bay. Margaret Cameron, a noted Victorian photographer, attracted many members of Victorian society, whom she photographed at her home in Freshwater Bay. Dimbola Lodge is now a trust and preserves much of her work and is open to the public. Leaving Freshwater bay you will follow the coastal path along the cliffs. The cliffs vary from towering white chalk to crumbling sandstone and blue slipper clay and form one of the most exposed parts of the Islands coast and feature the Isle of Wight famous Chines (coastal gullies).